I am going to blame the Stuff You Missed in History Class podcast for my recent obsession with Queen Elizabeth and her randy poppa, Henry XIII. I think I was kind of fascinated with Queen Liz anyway, but something took hold of my imagination reading up on King Hank. It was just so weird and corrupt and tragic, all around – how Henry couldn’t have a son, but might have had a son with Mary Boleyn (this has been disputed but is the subject of The Other Boleyn Girl). 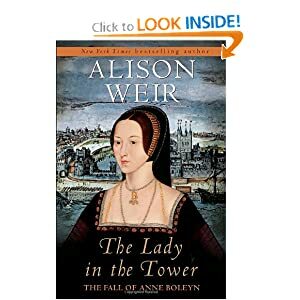 Anne Boleyn herself is fascinating because once Henry executed her by chopping off her head, if you can imagine, it set a dangerous pattern. Henry, despite it all, wasn’t all that different from a royal serial killer, when you think about it. Of course, it was buried in God and duty and all of that. It’s strange that no woman could give him the son he so desperately wanted, but stranger still that the one daughter he did manage to bring into the world turned out to be none other than Queen Elizabeth, arguably England’s greatest ruler in history. It is also strange and fascinating that she never married nor gave birth. Not so strange given what happened to her mother Anne, but strange in many ways nonetheless. By the way, Stuff You Missed in History Class is addictive. If you start listening to it you might never stop! Ah, but Jane Seymour did give birth to Edward VI. However, he died at the age of 16 and although crowned king, never really ruled due to his young age. Oh and also, Elizabeth was his second daughter. Mary was his first and she ruled England for only 5 years before dying.